How do you deal with conflict on your team? Particularly if the team seems to be distracted from its vision? Or if it threatens the progress of an initiative or even of the organization itself? This is a problem we all face on occasion, and when we are initiating change of any kind, it can put a new initiative on life support. I just finished reading Dana Perino’s book And the Good News Is … Lessons and Advice from the Bright Side. I am not readily drawn to biographies of celebrities, but this book caught my eye for several reasons (no, one of them was not Dana’s picture on the cover). The last section, where she gives favorite advice and shares life lessons is worth the price of the book. As George W. Bush’s last Press Secretary, Ms. Perino was privy to many significant events. One event that caught my attention was an account of a presidential visit to Israel to help produce a peace agreement between Israel and the Palestinians. Bush met with both Peres and Abbas in order to develop this. To me, this is a powerful lesson. In any team situation, be it at work, recreation, or even in our marriages, it is beneficial to remember what brought you there. Why are you serving on that committee? What was it that first attracted you to your spouse or significant other? Have you forgotten “your story”? As you deal with conflict on your teams, is your perspective based on your common goal? Do you have the courage to follow your gut instincts in developing unity? Can you look beyond the initiative to see what the real source of conflict is, and then address it appropriately? Do you feel empowered, or have you been empowered to stand in a position of strength to remedy these conflicts? If not, do you have the courage to stand up for unity? Of course, differing opinions will benefit the team–to a point. That diversity stimulates creative thought and productivity. But when you come to a divisive moment, or reach a sticking point, then you must remind the dissenters that you are allies fighting for a common cause, and not just individuals fighting your own personal battles. 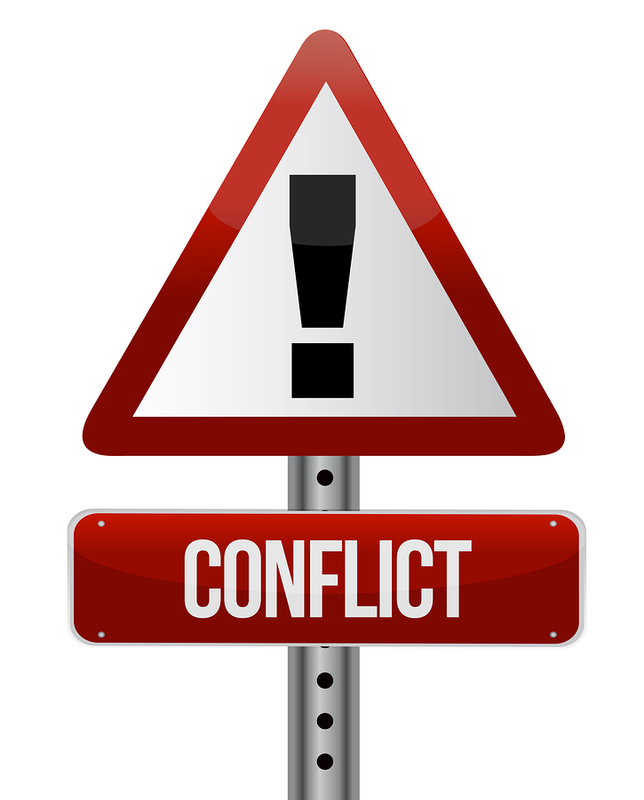 There is no simple answer to resolving conflict on your team. But it is often helpful to see how other leaders have handled challenging situations. A leader looks to the example of other leaders. Perino, Dana (2015-04-21). And the Good News Is…: Lessons and Advice from the Bright Side (Kindle Locations 1488-1491). Pp. 111-113 Grand Central Publishing. Kindle Edition. Additional quotes also from these pages.. This entry was posted in conflict, Leadership, unity and tagged common ground, conflict, Dana Perino, dissent, Ehud Olmert, example, George W. Bush, leadership, unity by 2thdocbob. Bookmark the permalink. Another good one. Glad to see you writing.